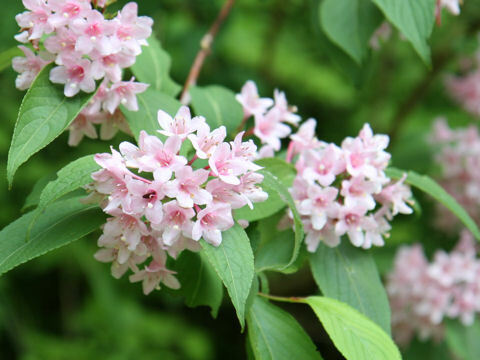 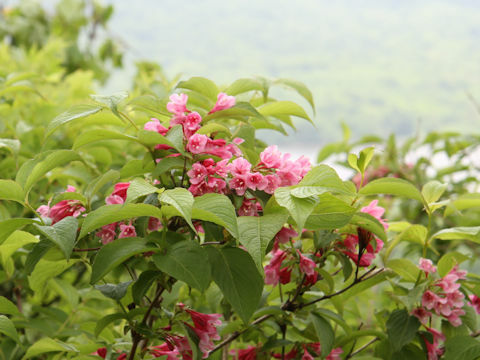 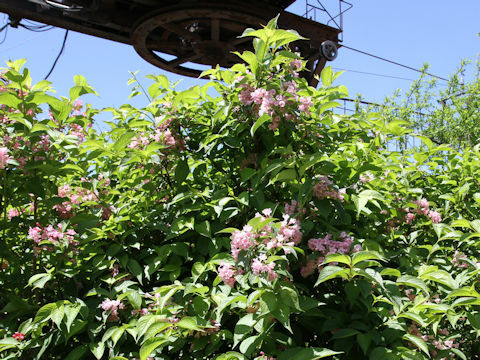 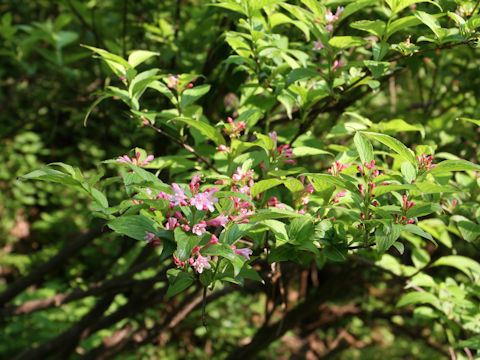 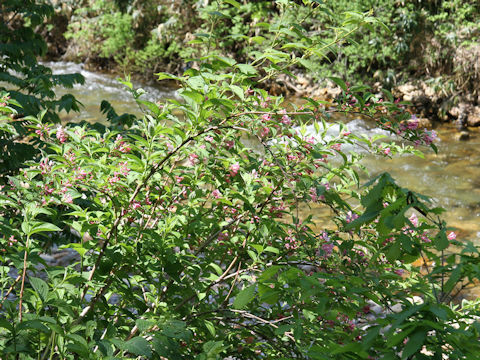 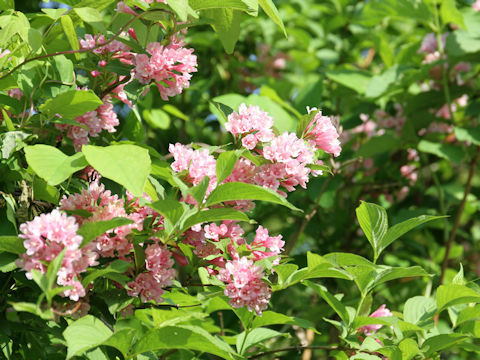 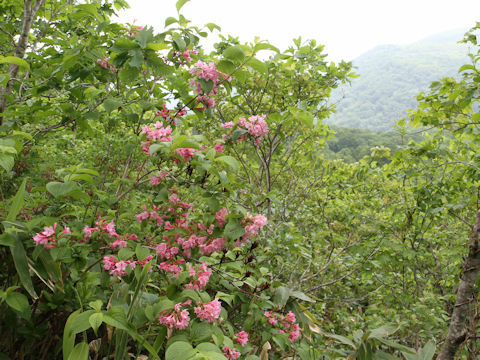 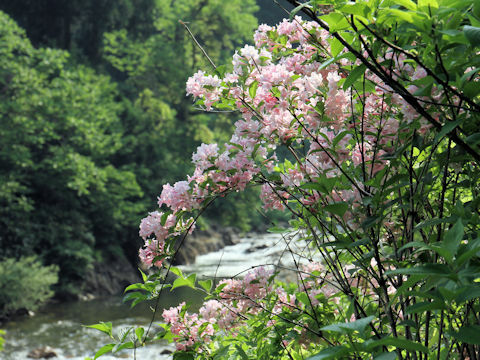 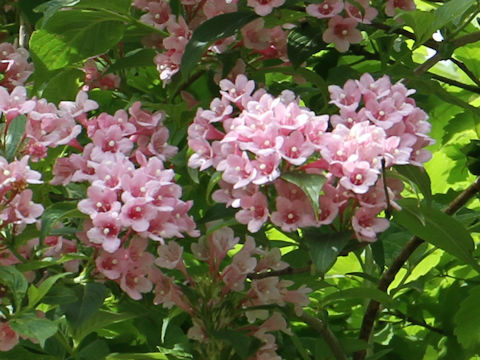 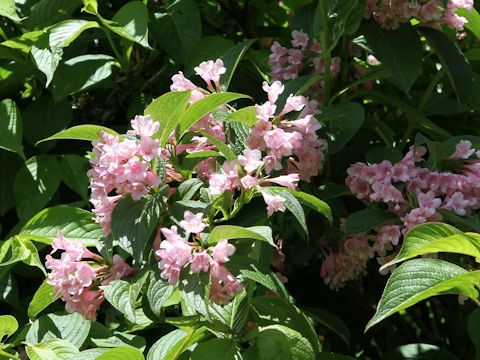 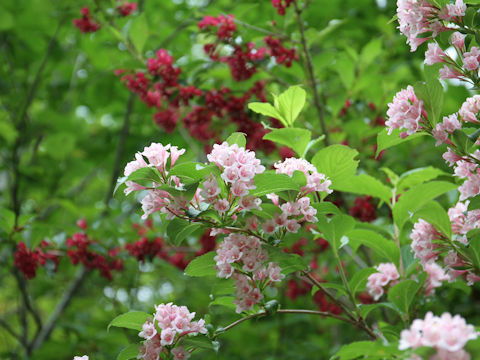 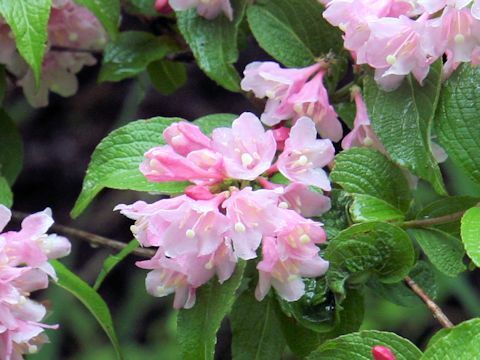 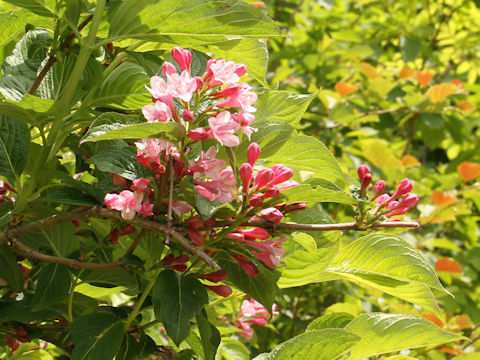 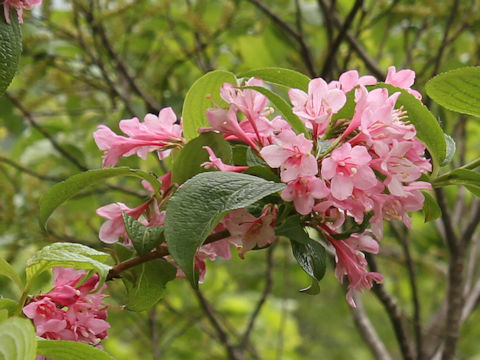 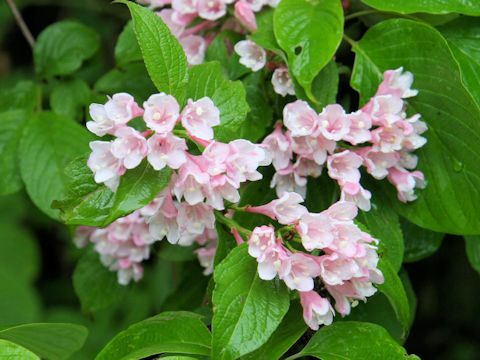 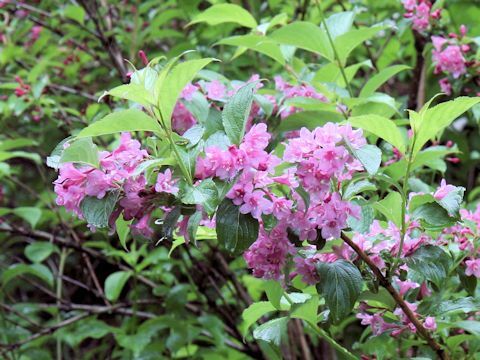 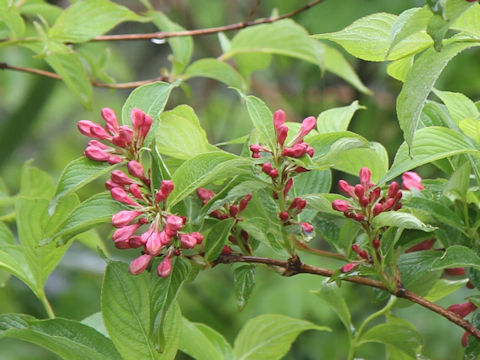 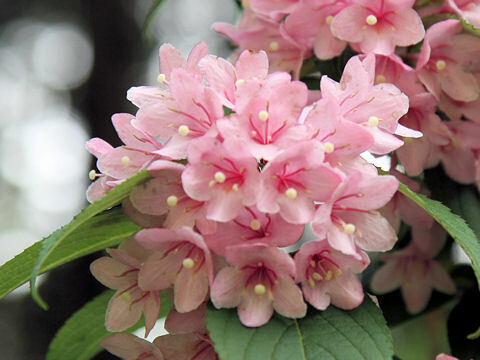 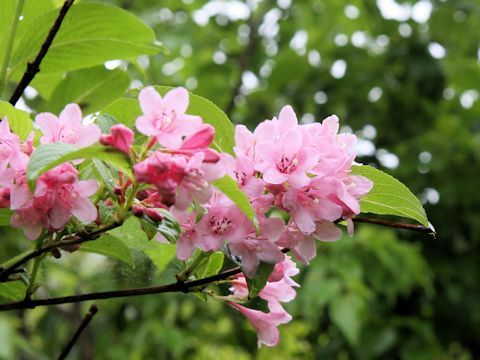 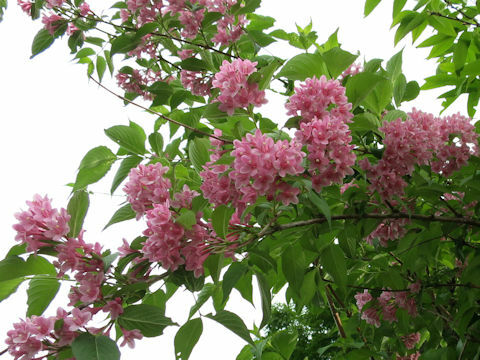 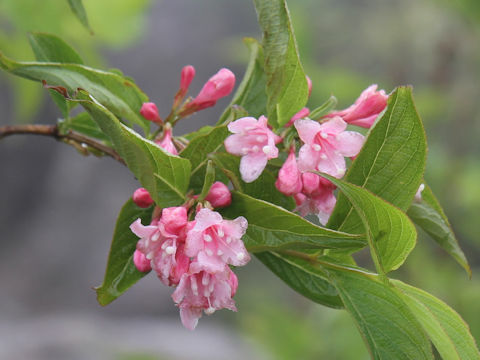 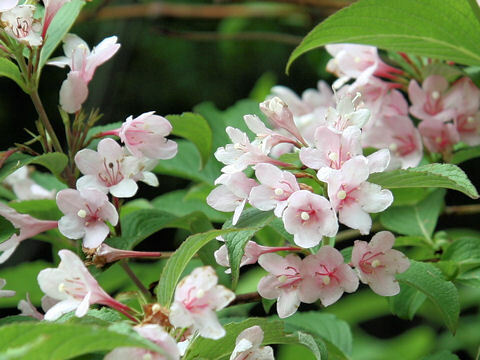 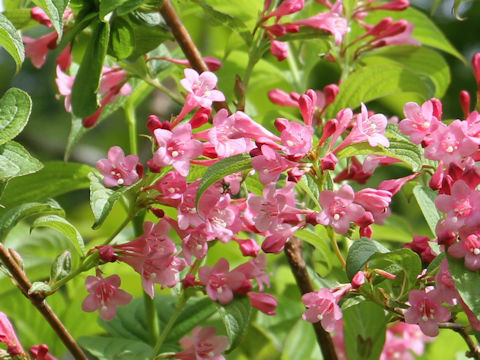 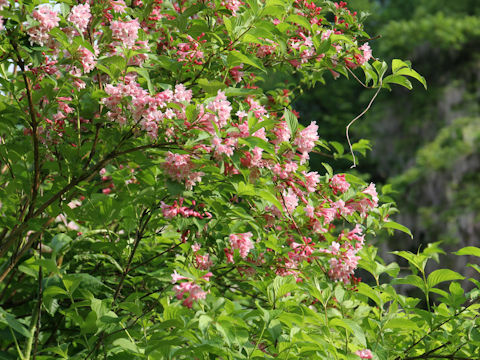 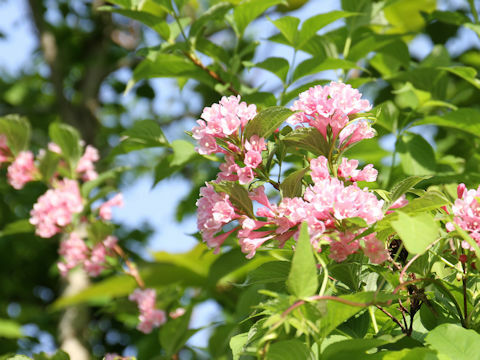 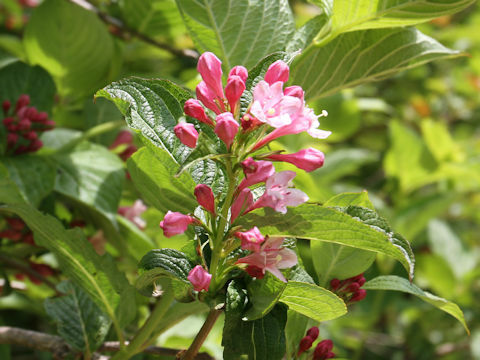 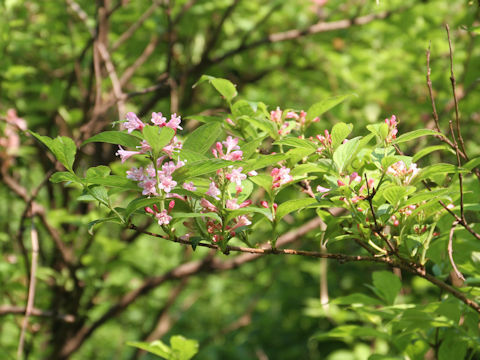 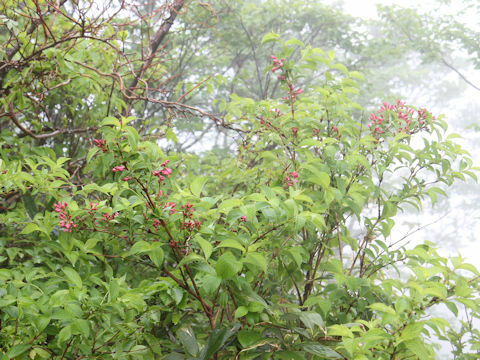 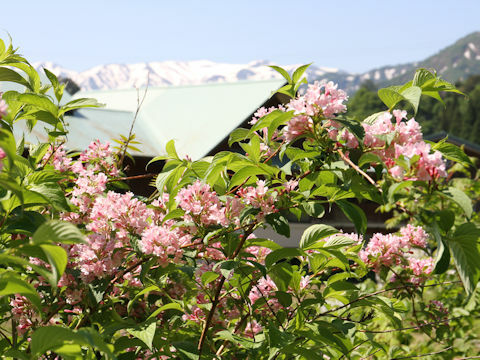 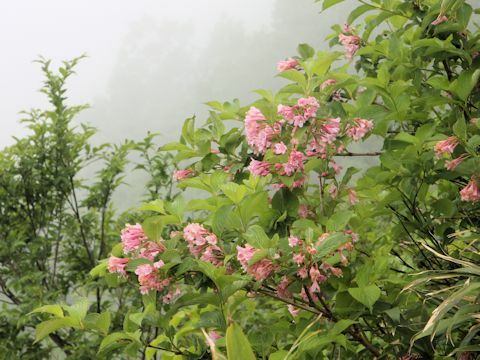 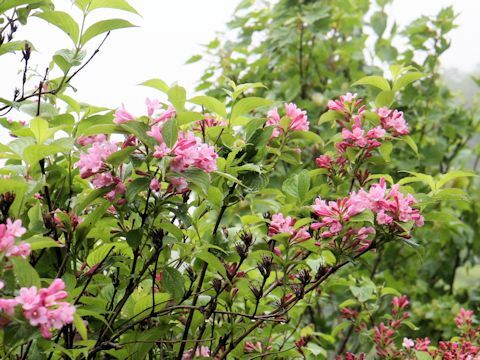 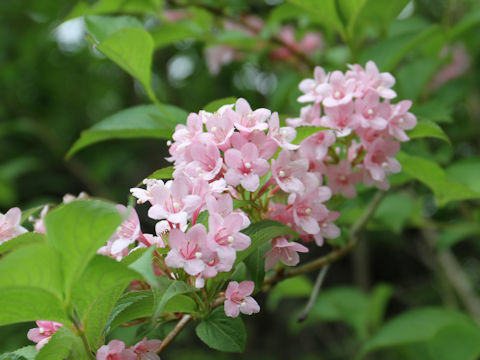 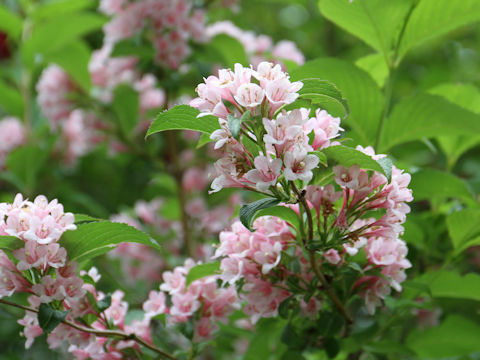 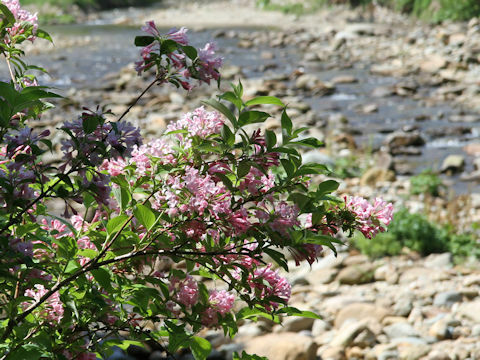 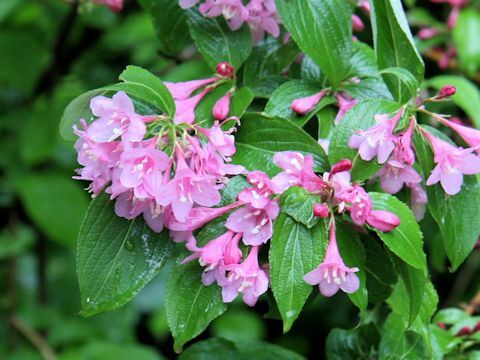 Japanese weigela (Weigela hortensis) belongs to the Caprifoliaceae (the Honeysuckle family). 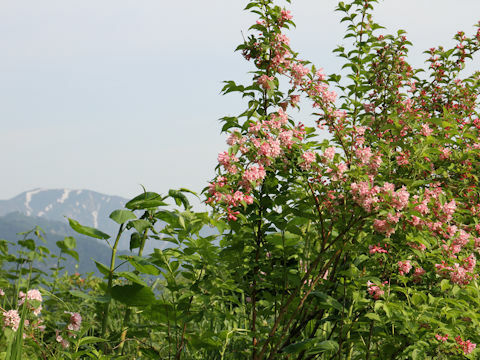 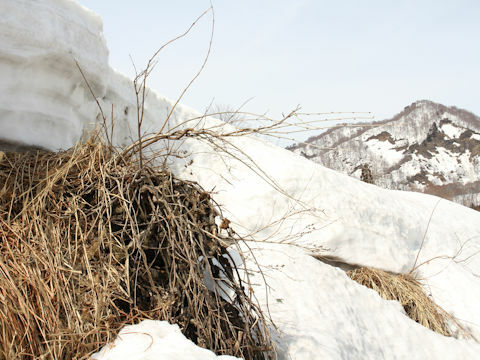 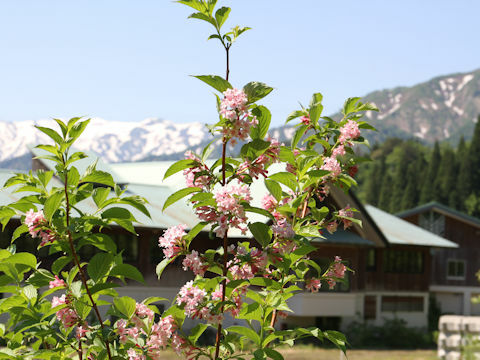 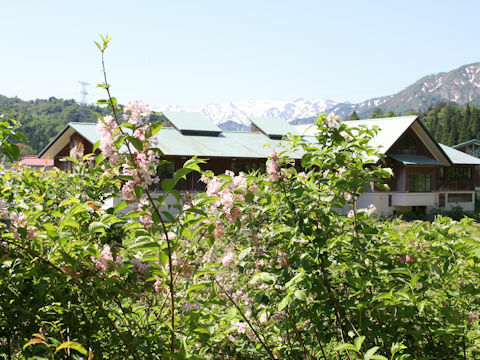 It is a small deciduous tree that is distributed the Japan Sea Side of Hokkaido to Honshu. 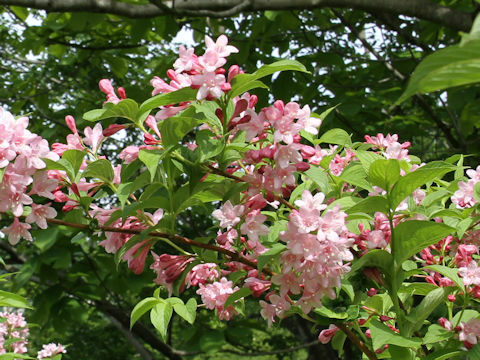 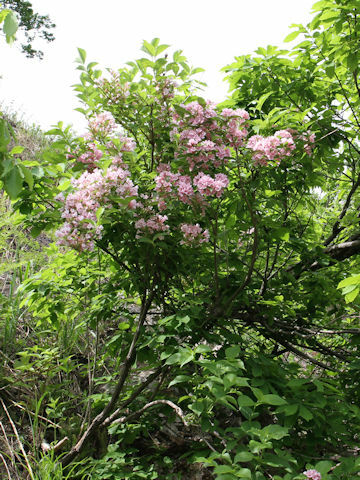 This tree grows in sunny dales and much branched, and it can reach about 5 m in height. 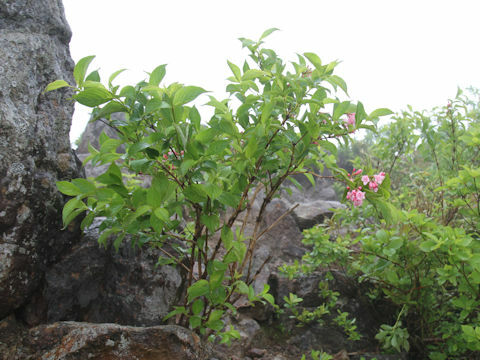 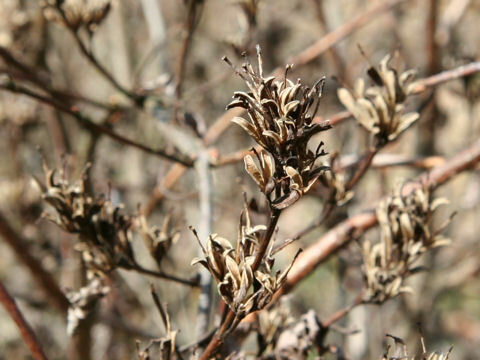 The leaves are ovate-elliptic and opposite with acute tips. 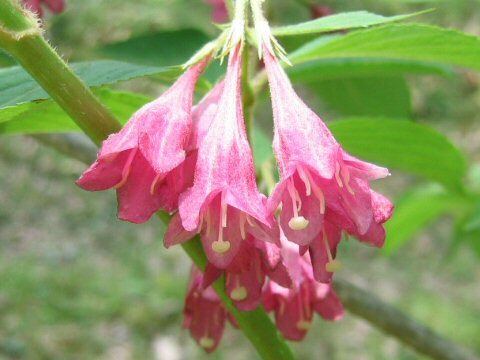 The corymbs are borne at terminal branches or axils, and bloom pale ponceau funnel-shaped flowers 2-3 cm long from May to June.